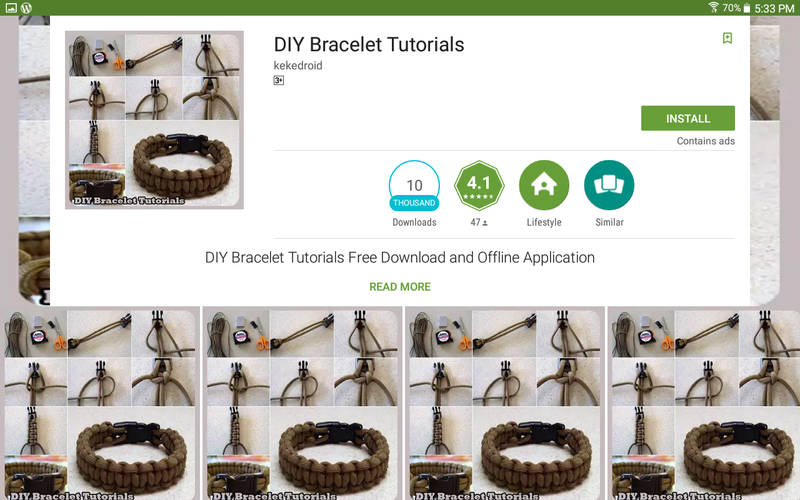 Simple app with pictures for step by step making of beautiful bracelets. Seven bracelet tutorials such as string bracelet, evil eye bracelet, paracord bracelet and more. Multiple strands bracelets, multicolored magic and flashy large beadselection bracelets and more are there in app for doing it yourself. Lots of craft ideas to be inspired from. Thanks but won’t be able to take it as too busy,sorry, hope you understand. And I do understand what it feels when people just like your post without reading them,lot of effort goes behind writing a post and reading them and commenting does help. Thanks for reading my blog and raising a valid point,cheers.